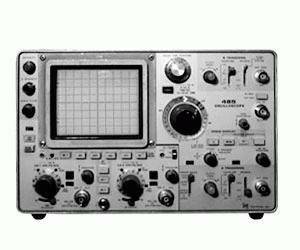 The Tektronix 485 Dual Trace Oscilloscope provides both versatility and reliability in a convenient, easy-to-use package. Selectable input impedance of 1 Mohm and 50-ohms. Also available are horizontal sweep rates to 1ns/division.